The National Health Protection Scheme, which the government dubs "Modicare", was announced in Thursday's budget for 2018/19 and would provide 100 million families, or about 500 million poor people, with a health cover of 500,000 rupees per year for free treatment of serious ailments. Prime Minister Narendra Modi's plan to provide health insurance for about half the country's population would require an estimated Rs 110 billion ($1.72 billion) in central and state funding each year, an official told Reuters. The National Health Protection Scheme, which the government dubs "Modicare", was announced in Thursday's budget for 2018/19 and would provide 100 million families, or about 500 million poor people, with a health cover of Rs 500,000 per year for free treatment of serious ailments. In its budget, the government announced a federal allocation of Rs 20 billion for the scheme in 2018-19, but officials say more funds would be made available as the programme is rolled out over the year. Currently, several state governments offer some form of health insurance but these are generally small and poorly implemented. Under the new scheme, the government estimates the cost of insuring each family would be about Rs 1,100 ($17.15), said the government official, who had direct knowledge of the matter and did not want to be named. Modi faces a national election next year and the health programme is seen as a signature initiative to woo voters in the countryside, many of whom struggle with high healthcare costs. The government said the scheme would be "the world's largest government funded health care programme" but critics have raised doubts whether 20 billion rupees in federal funding is enough to support the programme for 2018-19. However, the government official said of the Rs 110 billion in premiums required to fund the programme, the central government would contribute about 70 billion rupees with the 29 states providing the rest. The 50 billion rupees in federal funding on top of the 20 billion rupees allocated in the budget would be made available as the scheme details are worked out over the coming months, the official said. "Government health insurance companies have readily agreed to fund the programme (at this cost)," the official said. The measure is the latest attempt by Modi to reform India's public health system, which faces a shortage of hospitals and doctors. The government has also in recent years capped prices of critical drugs and medical devices and increased health funding. Still, India spends only about 1 percent of its GDP on public health, among the world's lowest, and the health ministry estimates such funding leads to "catastrophic" expenses that push 7 percent of the population into poverty each year. 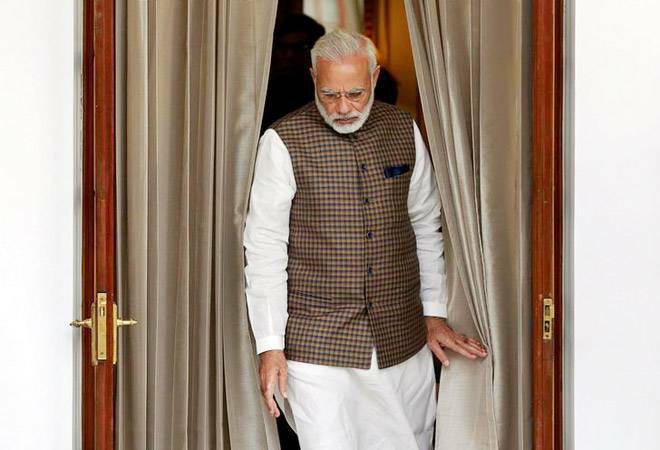 Modi's government on Thursday also raised the central health budget by 11.5 percent to $8.3 billion for 2018-19.